As noted in my preceding post, I was introduced to this word through reading about the Elder Paisios of the Holy Mountain who used it quite frequently in his teaching. The following short article appears on OrthodoxWiki, the online Orthodox encylopedia. It is a worthy read on an important virtue as taught by the Church. May God, by His grace, increase such virtue in us all! Philotimo is that deep-seated awareness in the heart that motivates the good that a person does. A philotimos person is one who conceives and enacts eagerly those things good. The term is formulated in a beautifully synthesized Greek word which comes from two Greek root words; 1) the prefix filo (filw) – which literally means I love (cf. John 21:16 as in Apostle Peter’s response to the Lord’s question, “Do you love me?” – “nai kurie, su oida oti filw se,” – which also has height, depth and breadth of meaning in and of itself). Philo can be more precisely understood also as having deep heartfelt appreciation or gratitude for some one or some thing. It is also the prefix to many other etymologically Greek monikers (eg. philanthropist, philosopher, philologist, philharmonic etc.). As a prefix, philo denotes one as an appreciator or friend (lover) of the essence of another concept found in the term which follows it, in this case, “timi” (Grk timh, h).” Timi is yet another very important ancient Greek and Christian concept that means honor or value. Honor (or the value of things) is itself the immeasurably deep philosophical concept about which volumes could be written. Another way of thinking about philotimo is when considering a clean or clear conscience and how one act eagerly upon that which the conscience dictates. Philotimo is therefore intimately intertwined with the grateful conscience, the stirrings of one’s inner disposition, but it is infinitely more. Olivier Clement says the following about love in his book The Book of Christian Mysticism, “Spiritual progress has no other test in the end, nor any better expression, than our ability to love. It has to be unselfish love, founded on respect; a service, a disinterested affection that does not ask to be paid in return (“our” philotimo), a ‘sympathy,’ indeed an ’empathy,’ that takes us out of ourselves enabling us to ‘feel with’ the other person and indeed to ‘feel’ him or her. It gives us the ability to discover in the other person an inward nature as mysterious and deep us our own, but different and willed to be so – by God. 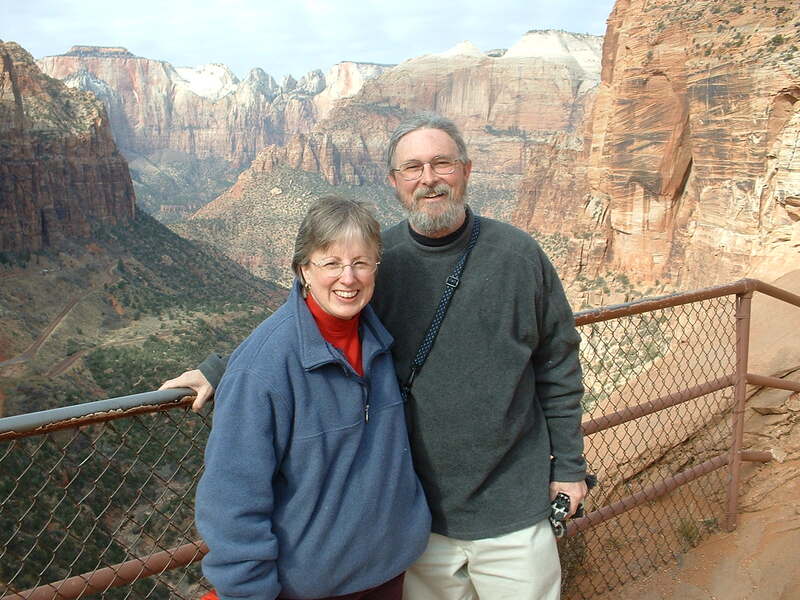 Photo: My wife, Matushka Elizabeth and myself in Zion National Park 2 years or so ago. I can think of no occasion or relationship in my life that elicits the response of responsive gratefulness than that which enjoy with my spouse. The goodness of God in giving me such a bride brings words of thanksgiving to my lips everyday. Glory to God for all things! More reflections on my own laziness to act according to respect for “philos” (in gratitude), when it comes to practicing the virtue of philotimo. I read Father Stephen’s excellent explanation and examples about philotimo, then returned to consider my own life just today. Have I practiced philotimo? Certainly I have practiced civil behaviors throughout the day, and never lost my temper or said an ugly word. But I have missed the full expression of the virtue, because I did not want to listen to what some people wanted to tell me. Rather, I wanted them to hear me first. What I am trying to do before the start of Vespers is reflect upon the measure of Christ’s love for me…so convinced I have become by faith that being with Christ, the Panagia, saints and angelsi n prayer, reflective thought about the Holy Scriptures, and in frequent Confession and Holy Communion–these provide me just what I need to feel “in and with” (empathy and sympathy) the pain that others feel. Remembering to call on God to help me be willing to listen to others opens to me new ways of becoming fully human in Christ. In this spirit of philotimo, please pray for a patient of mine who recently saw no way out of a terrible predicament but to end his life. It was last week. May God continue to reach Joe’s (fictitious name) family to restore reassurance in Christ’s victory over death, and instill in each of us the desire to number our days that we may apply our hearts to wisdom, as we wait in joyful hope for the coming of our + Lord Jesus Christ. Amen. May God hear our prayers! Fr. Stephen — What do you think of Clement’s writing overall? The book you mention (I think it is “The Roots of Christian Mysticism”) gets rave reviews on Amazon. I was working from an article in Orthodoxwiki which referenced Clement. I am not very familiar with his work though I cannot think of anything particularly problematic I’ve ever heard about it. I know reading a bit lately in Greek Spirituality (where I have spent more time in Russian thought) has been interesting and helpful and found myself drawing on new sources for things such as the virtue of philotimo. I may have to go further afield of my usual reading to find such gems. Have you read any of his stuff? I guess I’m a little worried I’d be putting the cart before the horse by delving into heavy duty mysticism. I tried to tackle “Being as Communion” recently and immediately realized Zizolous is out of my league for now! I am an inquirer and am currently rereading Ware’s “The Orthodox Church” and enjoying it even more. I’d be most grateful if you could point me to any posting you may have done on your favorite introductory books. Have you heard of the Jordan Bajis newcomer book called “Common Ground: An Introduction to Eastern Christianity for the American Christian”? Your blog is a delight. I’ve read a Common Ground. It’s not bad introductory material. Hopko’s so-called Rainbow Series “The Orthodox Faith” is useful. I heartily recommend books such as Zander’s St. Seraphim of Sarov or the more recent Father Arseny (2 books). There’s nothing to compare in learning Orthodoxy to reading Orthodox lives. I recommend the movie Ostrov (with English subtitles). It’s does a very good job in a film of what many other books do. Bishop Hilarion Alfeyev’s The Mystery of the Faith is also good introductory reading. The teachings on prayer or certain theological works like Zizioulas can be very difficult if you have not had formal theological training. He’s not writing for the average layman. But I like the book Beginning to Pray by Met. Anthony Bloom (of blessed memory). The Monk of Mt. Athos (the life of St. Silouan by the Elder Sophrony) is an meaty book of a modern saints life – one that has touched many people still alive and in the Church today. There are several small books written by Fr. Roman Braga. They are simple and straightforward and better than most. 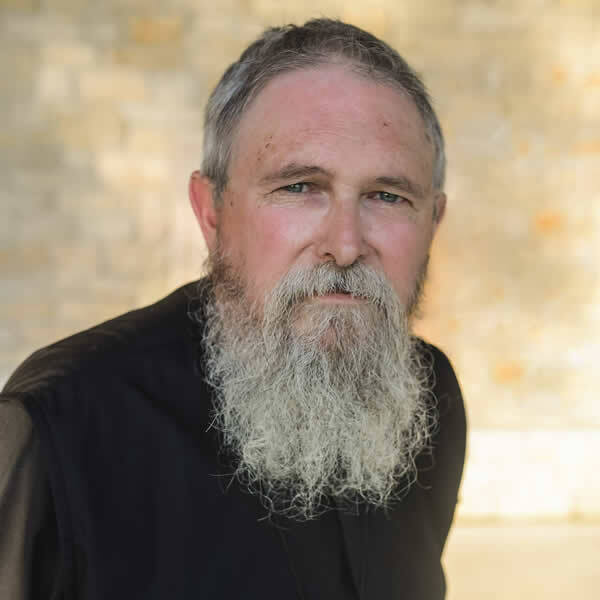 He suffered in prison in Romania during the Communist period and today is a monastic in Michigan. There is a newly published book by Archimandrite Zacharias of the Monastery of John the Baptist in Essex, England that I would recommend. I heard it on tape before it became a book, and have spent time with him personally. He is one of the great figures in modern Orthodoxy. the book is The Enlargement of the Heart: “Be ye also enlarged” (2 Corinthians 6:13) in the Theology of Saint Silouan the Athonite and Elder Sophrony of Essex. Good advice to all. Try not to read more a day than you pray. It makes a book last a lot longer, but it also keeps us from getting too “top heavy.” Elder Sophrony used to say, “Stand at the edge of the abyss, and when you can stand no longer, have a cup of tea.” Good advice. I’m glad you enjoy the blog. Pray for me. Wow. I love the “stand at the edge of the abyss” quote! You asked about “The Roots of Christian Mysticism.” For my part, I’d have to recommend this book highly. 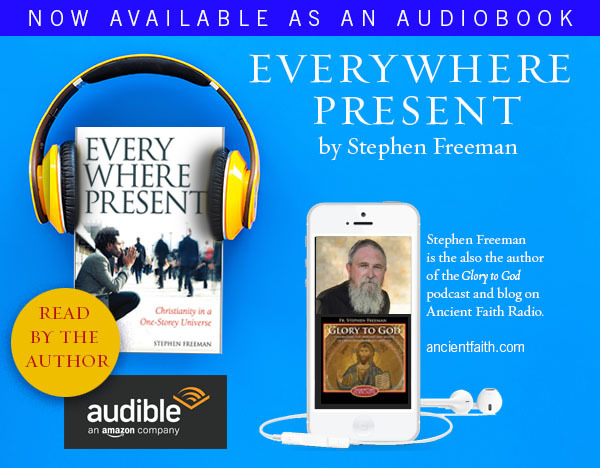 It yanked me from my past trajectory (as an evangelical who dabbled in Roman Catholic contemplative writings and a few patristic texts) straight to Orthodoxy like no other book did. There’s nothing controversial that I know of in that particular book (I’ve read nothing else from Clément, so I can’t speak for his other work); instead, it’s a thematic anthology of patristic passages tied together by wonderful transitions from Clément. Although the word “mysticism” in the title is what induced me to buy the book, it’s really not a “mystical” book. Rather it’s an approachable introduction to the Good News as expounded by the early fathers. Along with this book, I’d add “The Mystery of Christ” by Fr. John Behr. These two books, while not necessarily being meant as introductions to Orthodoxy for inquirers, continue to serve well in gradually modifying many of my modernist assumptions. I personally like Yannaras, although I’ve only read the Freedom of Morality (not from). I think it’s an excellent work demonstrating that morality is ontological rather than just rules, etc. Dostoevsky would haved loved him. Excellent summation of Clement. Thanks ever so much. In response to a question I had off the blog, I’m thinking of books to help people better grasp the Orthodox reading of Scripture, in the sense of types and metaphors in some places rather than the wrathful God of literal protestantism. I’m glad for any suggestions Orthodox readers, or others may have found helpful. I have read a great deal of Olivier Clement’s work, both in English and in French. In my opinion, his work is generally highly regarded. He is (or was until recently–he’s in his mid-80s now) a professor at the St. Sergius Orthodox Theological Institute in Paris and was a personal friend of Vladimir Lossky’s. In fact, he was one of the people responsible for seeing that some of Lossky’s books were published posthumously. Clement is particularly interesting because he grew up in a family of militant atheists and after a long intellectual journey was received into the Orthodox Church at the age of 30. Because of his background much of his work deals with preaching the Gospel to a heavily secularized society which is hungry for Christ, but does not realize it. I just thought that this might interest You, Father. Thanks Lucian. It is an interesting article. I kind of smiled. He spent a long time to make a case for something Orthodoxy takes for granted – read the Scriptures as the Apostles did because that’s what Christ taught us. I was surprised not to see John Behr in his footnotes. He could have made a much stronger case. But his work does demonstrate that there is a need for a radical overhaul of Protestant hermeneutics. Thanks for the link! Thank you for filling in some gaps in my knowledge. I will work to fill in the blanks. I would love to see the results of your considerations about good books. Your blog has already tipped me off to much fine reading. Philotimo reminds me of Plato’s love of honor in the tripartite soul. Obviously he thought philosophia was higher than the love of honor. But honor concerns spirit, and the heart, rather than the rational mind. Steve, I agree with you concerning Plato’s love of honor, particularly as Socrates carries the dialogue in the Symposium. I mention this point to identify love as obligation, and “Eros” as an obligation of love to fulfill rightly. If one can hear the Socratic opinion within context, honor transcends mere sensual pleasure and glorifies human commitment as honorable. Thank you for an excellent explanation to a Greek challenged person.